Summer vegetables are still trickling in from the garden. 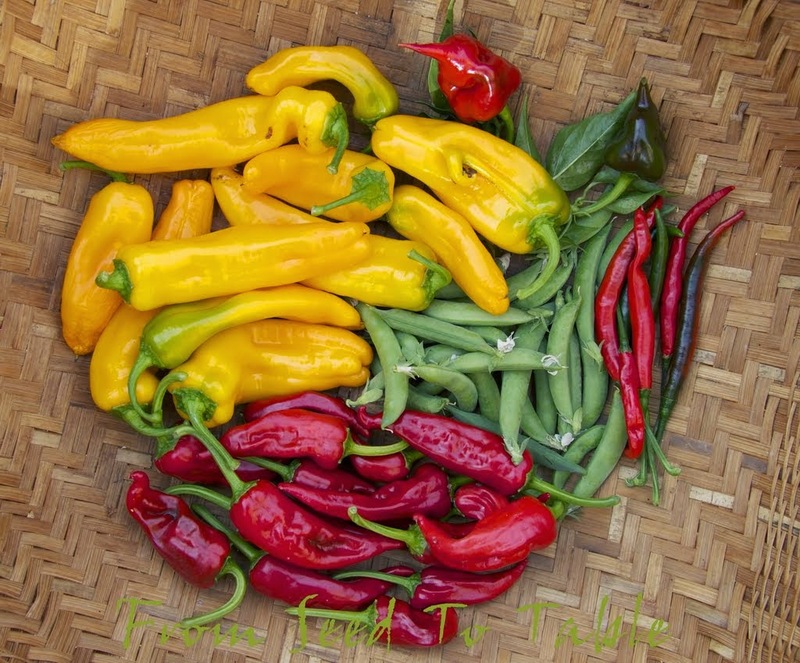 I've been letting the peppers sit on the plants in the garden because they seem to be keeping quite well out there, the cool short days keep them from spoiling or ripening too quickly. The first sugar snap peas from the fall planting were ready to harvest last week. I harvested more tomatoes, some when I pulled out a few of the plants and others that I didn't want to crack from the rain but those didn't get photographed. 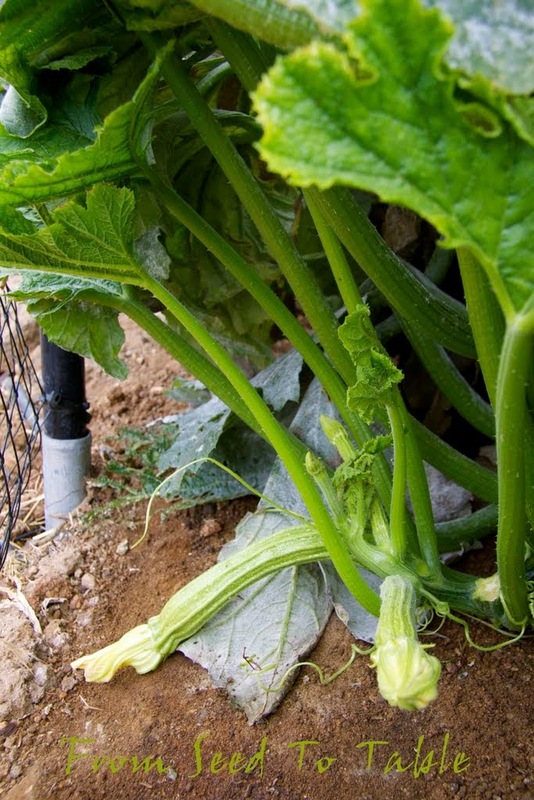 Here it is, the zucchini that pushed production over 100 pounds from one plant. 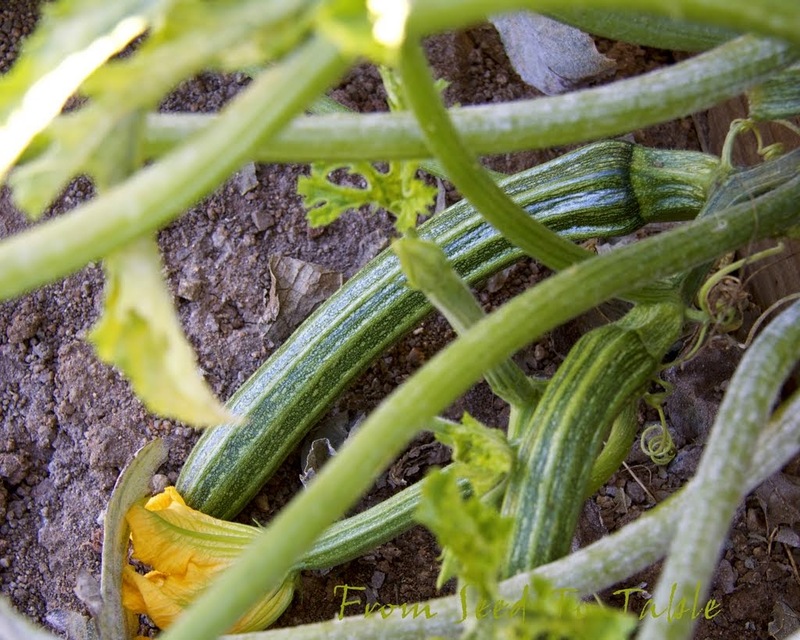 I also harvested 3 more small zucchini later in the week but didn't photograph them. 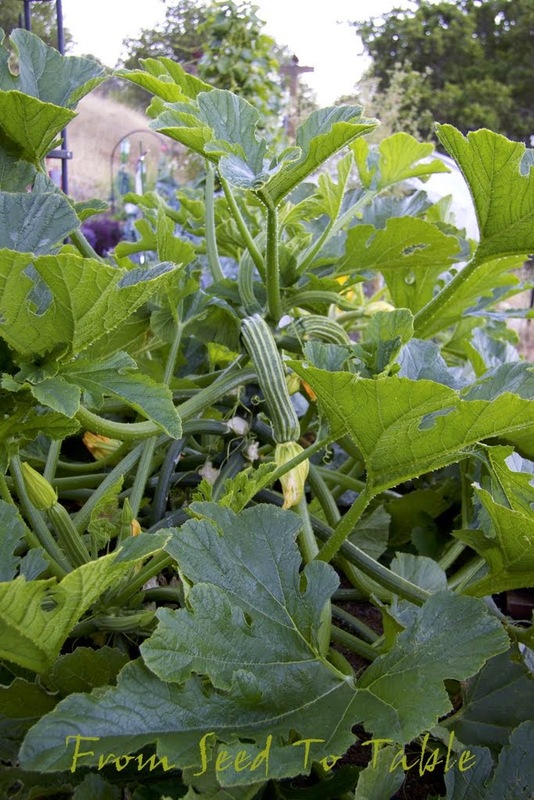 It's official, the plant has produced 101 pounds of zucchini so far this year. 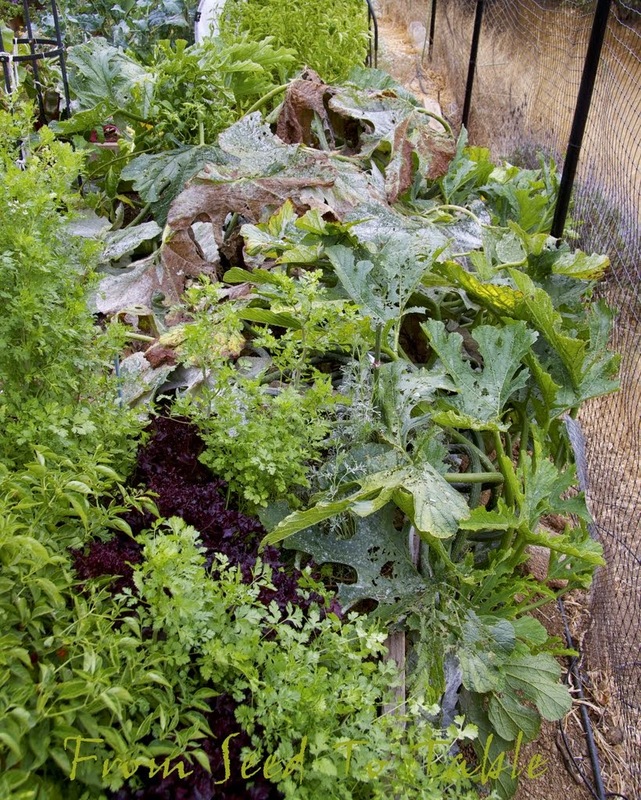 The Lacinato kale is producing well, staying relatively aphid free, and is recovering from the bird pecking. Most of the leaves that look like this have been harvested now. The new leaves are growing under the protection of a veil of Agribon fabric. This doesn't look very appealing but it's only the top quarter to third of the leaves that are holey and I don't lose much by whacking the pecked parts off. I've shelled and weighed most of the dried beans now. 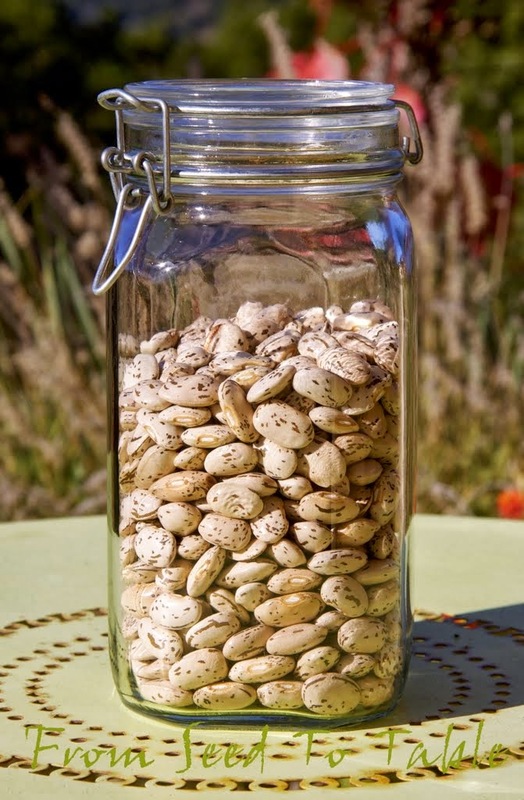 These are Pavoni beans that Stefani gave me the seeds for. Most of the Pavoni bean plants had white and apricot colored flowers. One or two plants had scarlet flowers and another one had bi-colored scarlet/white flowers. 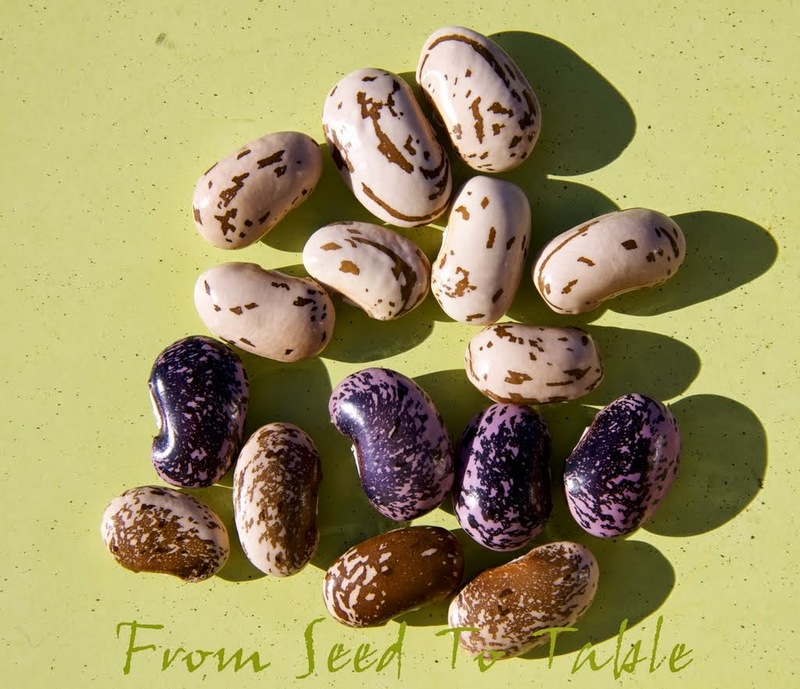 The off colored flowering plants produced different colored beans. Pavoni beans of different colors. I also finished shelling my Purgatory beans (Fagiolo del Purgatorio). 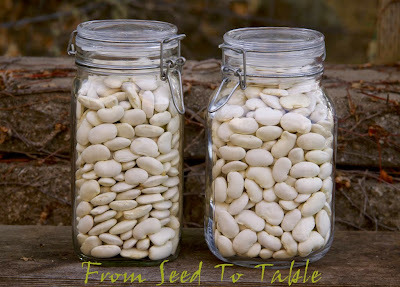 The jar on the left contains beans from the earliest sown plants which struggled with cold soil and then an infestation of spider mites. The harvest was light from that planting and many of the beans are smaller than they should be. The jar on the right contains beans from later sown plants that thrived and produced more beans per plant and of better quality. I'll be using beans from the late sowing as my seed stock next year. And I won't be tempted to start them too early again. Look at the difference in size between the Purgatory beans and the Greek Gigante beans. 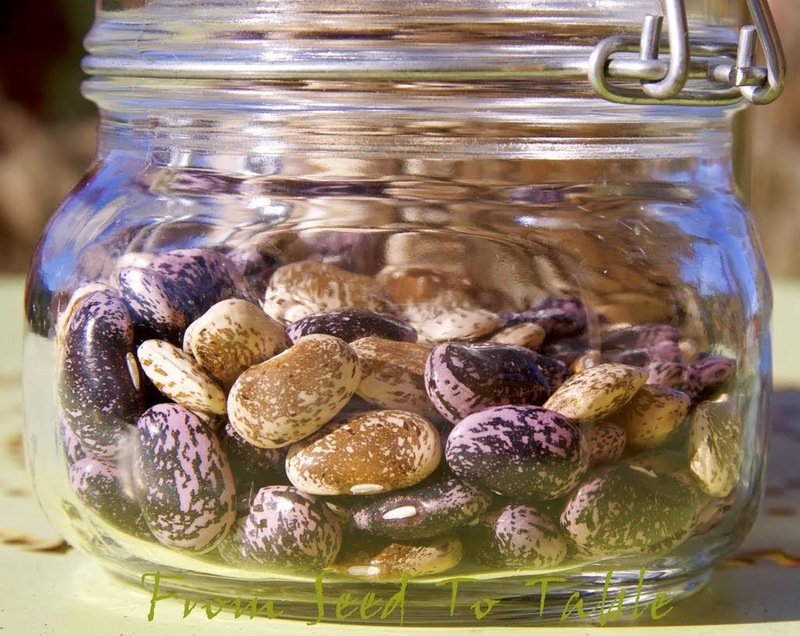 The Purgatory beans are absolutely wonderful for making bean salads. The weather continues to be mild and mostly clear and beautiful. 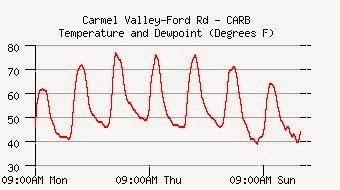 We did get a bit of rain last week, less than 1/2 inch, but it's better than no rain. 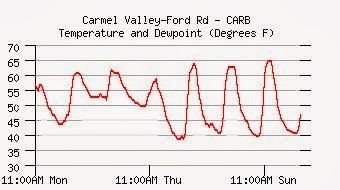 We're up to .98 inches since July 1. More rain is supposed to be headed our way... maybe. Purgatory beans (Fagiolo del Purgatorio) - 1 lb., 13.7 oz. Stefani's Pavoni beans - 2 lb., .8 oz. Di Ciccio broccoli - 1 lb., 2.3 oz. Lorz Italian garlic - 3.7 oz. Red Janice garlic - 3.5 oz. 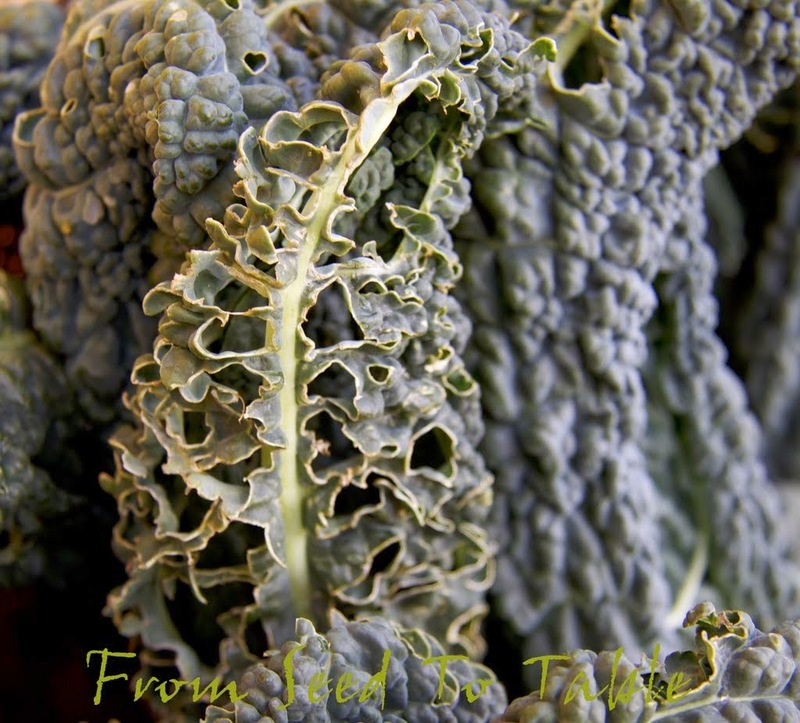 Lacinato kale - 2 lb., 6.6 oz. Sugar Daddy snap peas - 4.2 oz. Cochiti peppers - 6.7 oz. Happy Yummuy peppers - 11.9 oz. Volunteer orange bell pepper - 10.2 oz. Pico de Pajaro peppers - 1.1 oz. San Juan Tsile peppers - 1.1 oz. 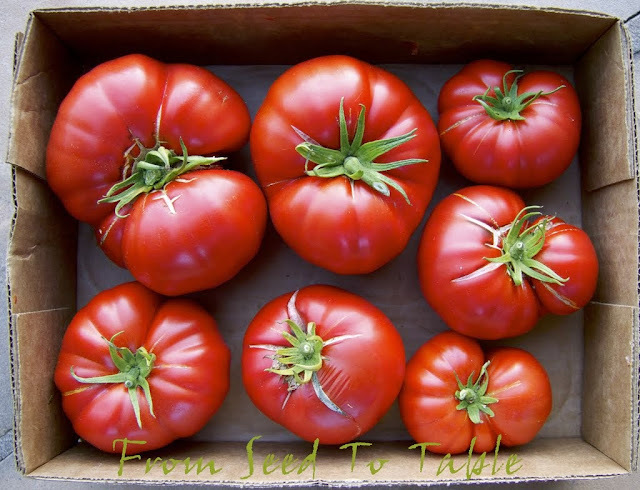 Andine Cornue tomatoes - 2 lb., 2.2 oz. Martian Giant tomatoes - 11.8 oz. 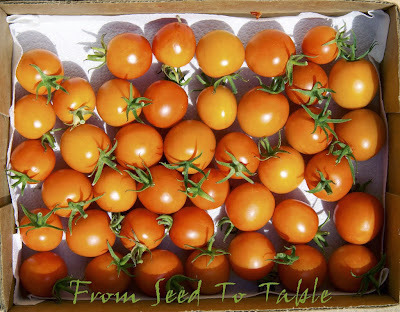 Potiron Ecarlate tomatoes - 3 lb., 5.3 oz. Romanesco zucchini - 1 lb., 4.7 oz. The harvests totals for the past week were - 17 lb., 9.8 oz. Which brings the harvest totals for the year up to - 894 lb., 5.7 oz. I do believe I may break the 900 pound mark before the end of the year! A lot of readers have asked how we manage to eat all that produce, and to be honest, not all of it gets consumed, sometimes it does go bad before I can do something with it. But the vast majority of it does get eaten. My husband and I LOVE our veggies and our meals revolve around what's coming out of the garden and/or what I've preserved. 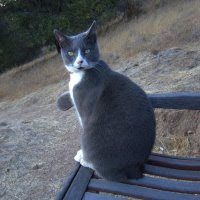 We long ago abandoned the typical western meal formula of protein-starch-vegetable and I long ago abandoned the notion that a meal should revolve around a "main" course whether protein based or vegetarian. It's not unusual for us to dine on two or three or four different vegetable dishes that most Americans would consider to be all side dishes. 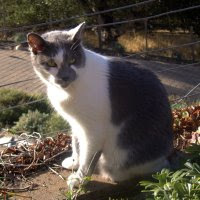 We've also adopted a fairly low carb diet and we no longer rely on "filler" carbs like rice or pasta or potatoes, the "filler" these days is just more vegetables. But no, we are not vegetarians, we often times dine on poultry, pork, or seafood, it just doesn't necessarily have a starring role in every meal. We consume a lot of eggs and dairy products as well. But veggies rule, even at breakfast, at least for me. 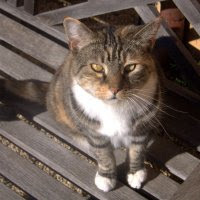 I love to sauté a variety of vegetables (with perhaps some lardons of bacon), crack a couple of eggs on top, cover the pan and cook on low just until the eggs are set. Sprinkle with some za'atar or a dried pepper spice blend, or smoked paprika - voila, it's breakfast. Another version of that is to stew some vegetables in tomato sauce, crack a couple of eggs over the top, cook until the eggs set. Or, saute some veggies and scramble the eggs into the mix. And a little cheese melted over the top of any of these preparations is pretty tasty too. The fall planting of Di Ciccio broccoli produced a couple more heads. One nice big one and one rather, um, modest one. Both were equally delicious. Tomatoes still! 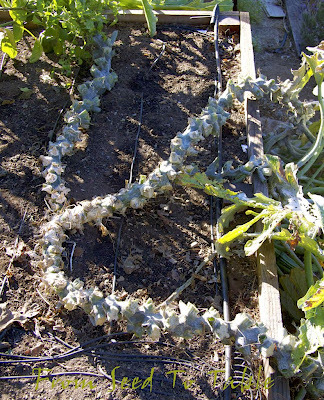 The plants are ugly and one of today's projects is to start pulling out the worst of them. But some of them are still producing. Isis Candy has been and still is prolific. Jaune Flamme has been quite productive also. There are still tomatoes ripening on the plant so it will get to stay a while longer. 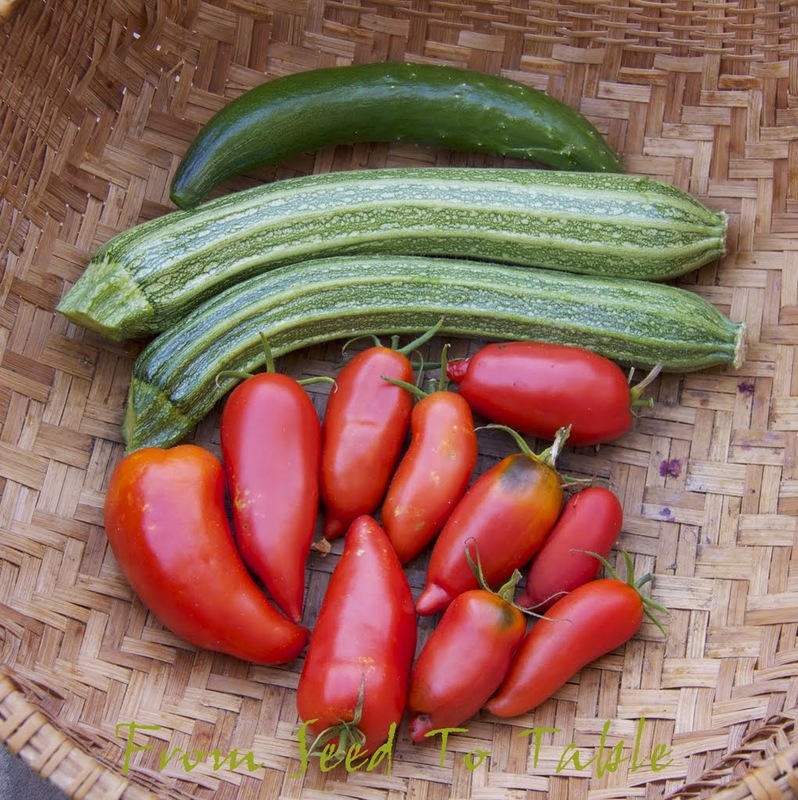 Nyagous and Green Grape are still producing a few tomatoes but the tomatoes on the vines are dwindling. 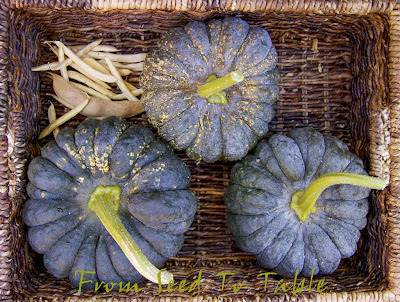 The last of the Black Futsu squash were ready to harvest. 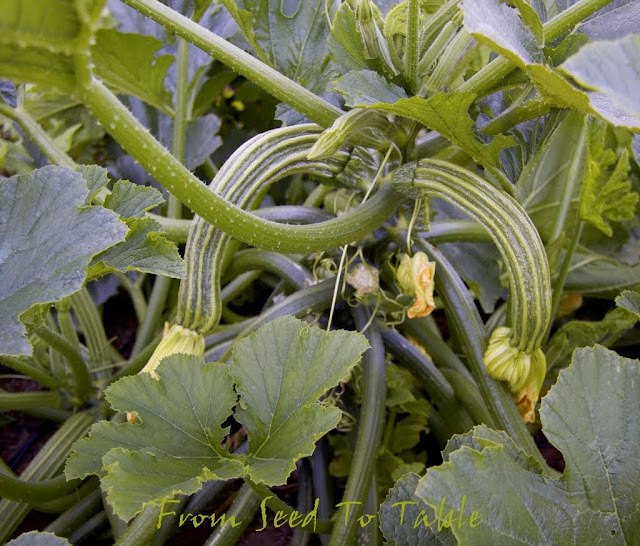 The two vines produced 25.4 pounds of mature squash between them. 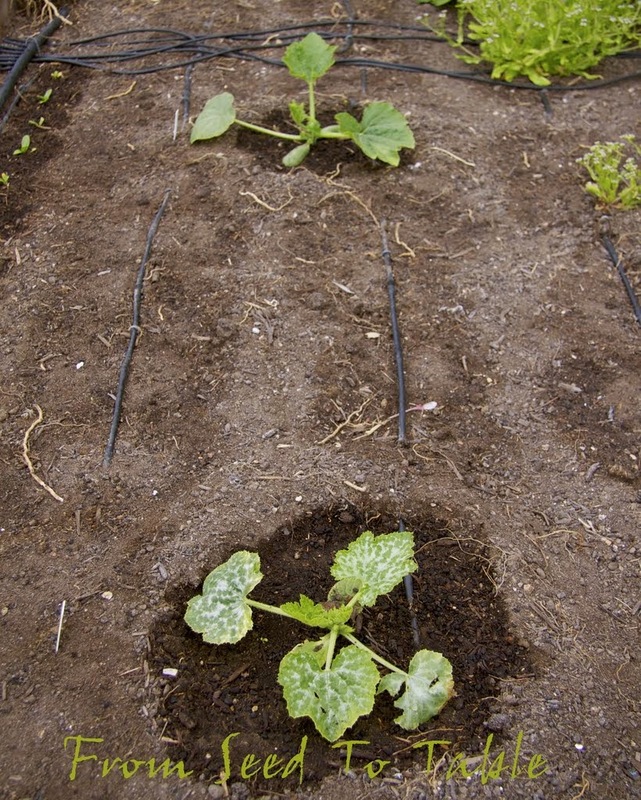 I pulled the vines out yesterday and found that there were new squash that had set, but they were not big enough to keep and there's no hope that they would mature so they went into the compost bin. 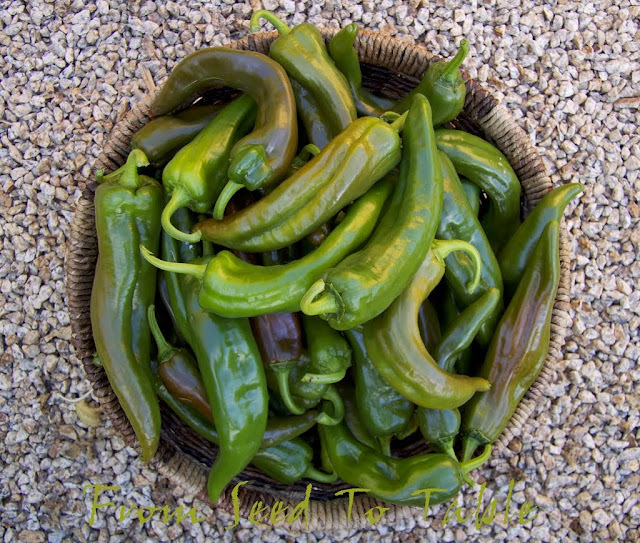 One more pepper harvest, these are Piment doux long des Landes, a beautiful sweet pepper from France, good either green or ripe or somewhere in between. 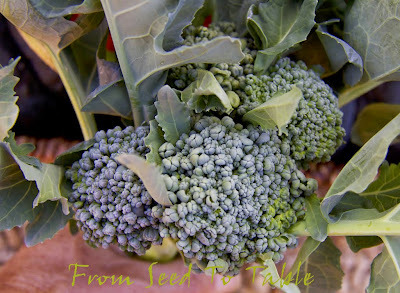 The remaining two Di Ciccio broccoli plants from the spring planting are still produce some good shoots. 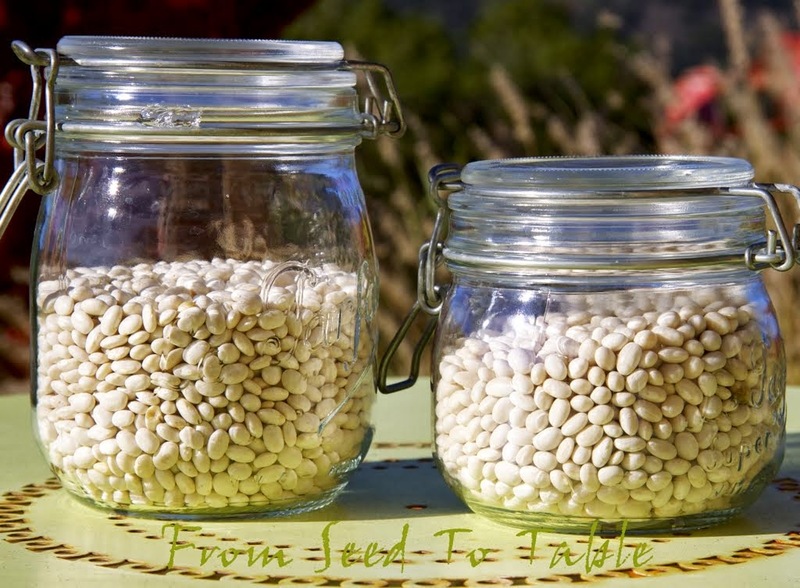 I shelled the 2013 harvest of Greek Gigante beans - 5.2 pounds total. Last year I got 7.3 pounds, there were two or three fewer plants this year, but hey, what do you want from 2 year old bean plants! There's a couple of harvests that didn't get photographed. When I cleaned out the bolting overgrown fall "greens" I found a number of perfectly good rapini shoots. At the same time I harvested all the ripe peppers off of the volunteer Aji Angelo plant. And I'm still weighing my garlic as I pull the heads off of the bundles that are hanging in my pantry (and keeping quite well there). 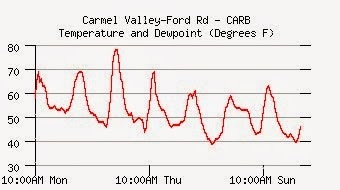 The weather has been feeling decidedly autumnal the last few days. 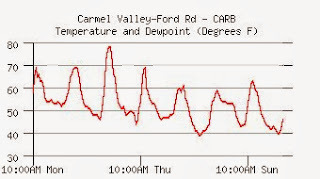 Did it really get to nearly 80ºF last Wednesday? And there's rain in the forecast, thank goodness, it has been incredibly dry here this year, we've gotten .54 inches (yes, point 54 inches) of rain since July 1 and only about 12 inches in the preceding year. I'm hoping for a long gentle soaking rain. 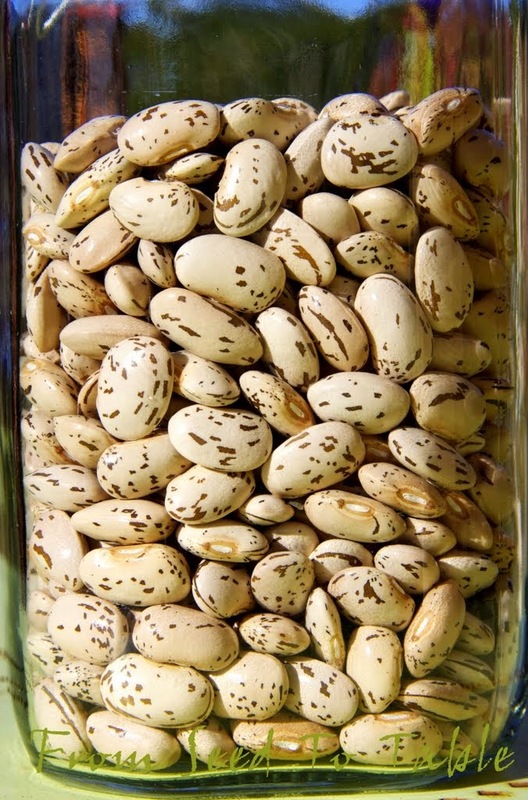 Greek Gigante beans - 5 lb., 2.9 oz. Di Ciccio broccoli - 1 lb., 13.5 oz. Lorz Italian garlic - 2.8 oz. Aji Angelo peppers - 12.7 oz. Happy Yummy peppers - 13.9 oz. Isleta Long peppers - 14.7 oz. Lady Bell peppers - 1 lb., 8.1 oz. Piment doux long des Landes peppers - 1 lb., 2.6 oz. Sweet Chocolate peppers - 7.7 oz. Early Rapini - 1 lb., 13.6 oz. Green Grape cherry tomatoes - 11.9 oz. 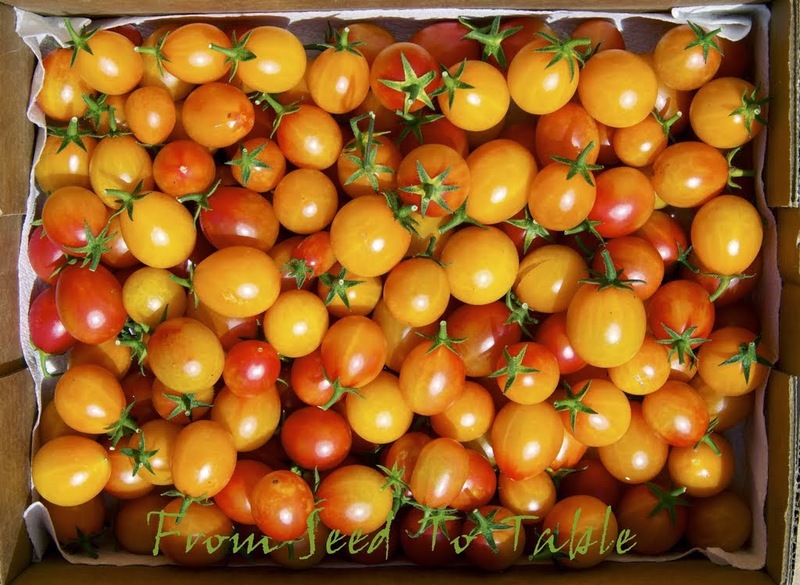 Isis Candy cherry tomatoes - 4 lb., 1.4 oz. Jaune Flamme tomatoes - 2 lb., 11 oz. Nyagous tomatoes - 1 lb., 10.8 oz. 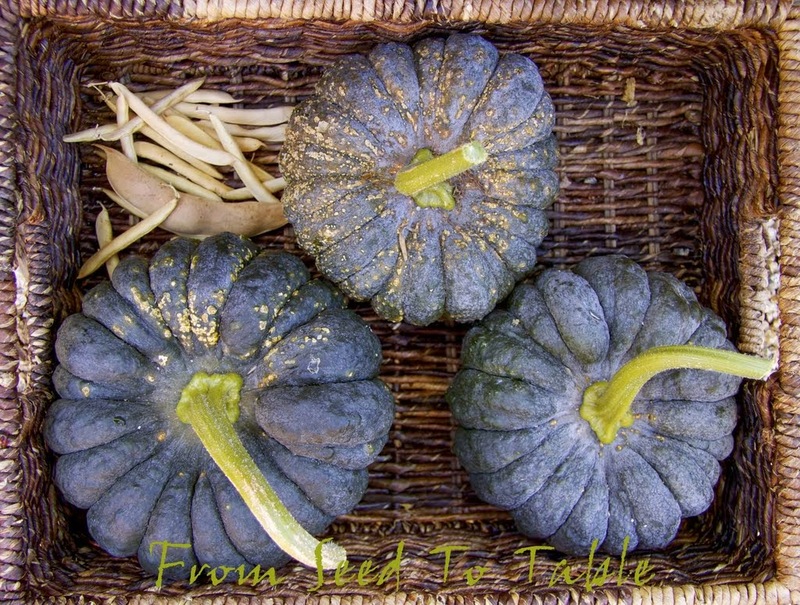 Black Futsu squashes - 10 lb., 6.6 oz. Romanesco zucchini - 2 lb., 11 oz. The total harvests for the past week came to - 37 lb., 1.2 oz. 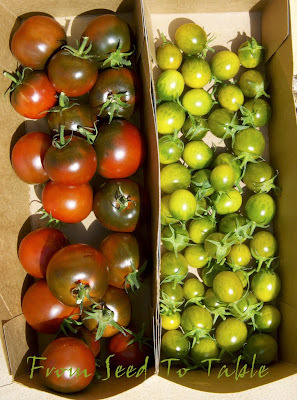 Which brings the total harvests for the year up to - 876 lb., 11.9 oz. 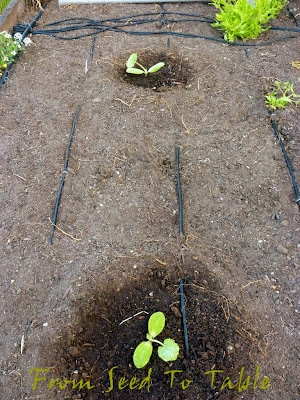 It all started nearly 8 months ago, back on March 21 when I sowed my zucchini seeds into 1-quart pots made from repurposed yogurt containers. 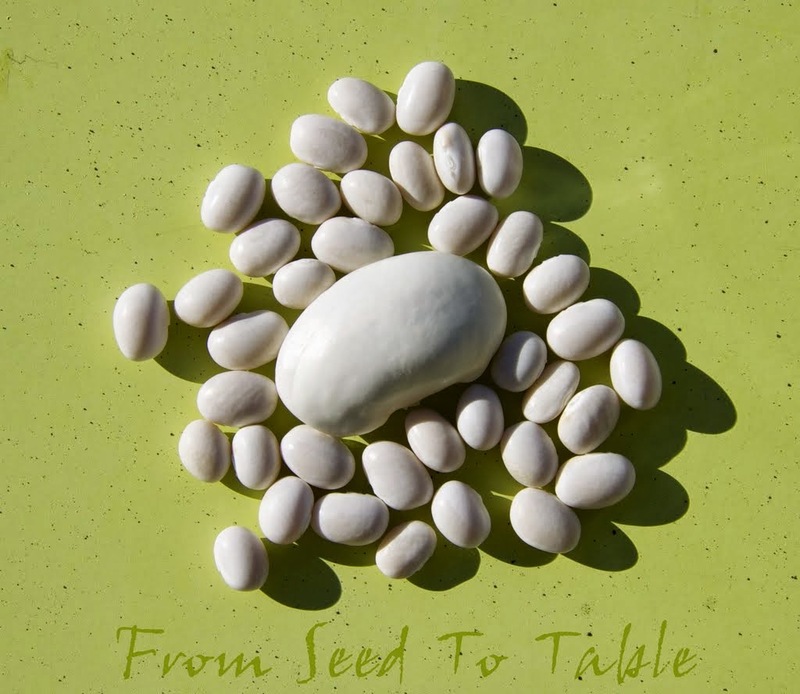 The poor little seeds got off to a slow start and didn't get to be large enough to plant out until April 12. Here they are, just little babies with one true leaf on each plant. The Romanesco plant is in the back and the plant in the foreground is Ortolano di Faenza. Twelve days later the plants are sporting a few more leaves but are still small. I finally harvested the first zucchini on May 21. 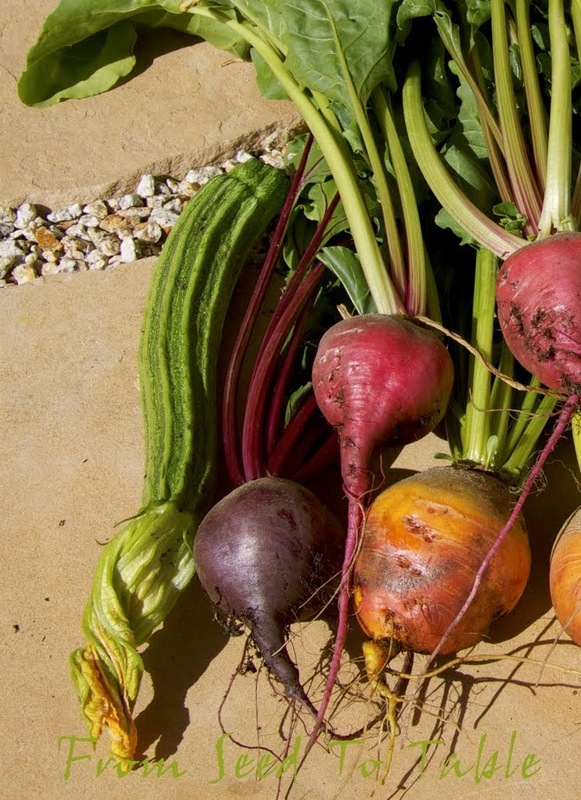 I don't remember how I prepared it, but I do remember that it was a welcome treat after lots of beets and various greens. 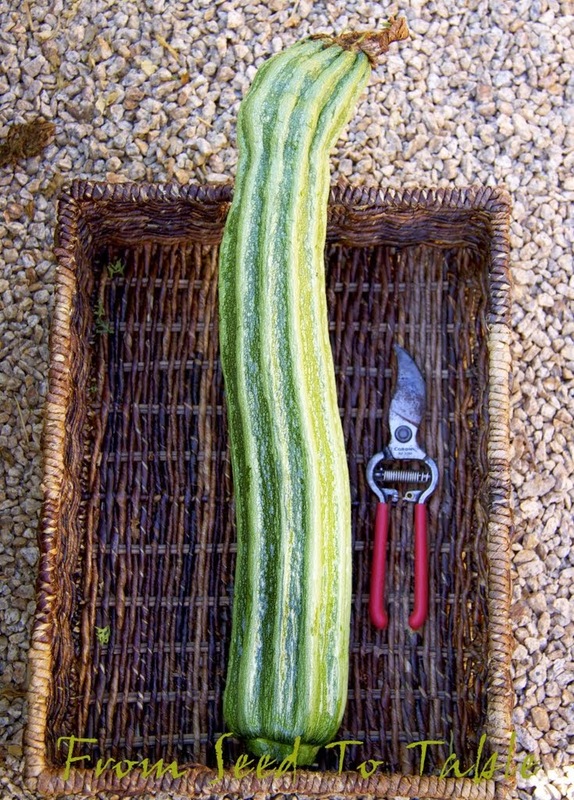 May 21, the first Romanesco zucchini harvest. The plant is still fairly small that day, but the promise of more zucchini to come is quite evident. 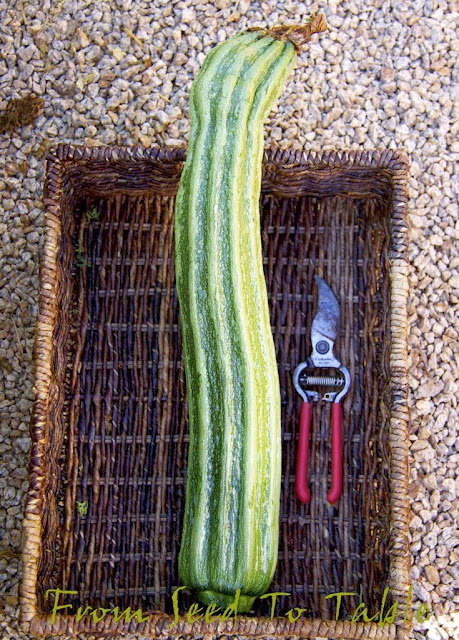 My harvest of Romanesco zucchini for May was 4 zucchini for a total of 1.1 pounds. 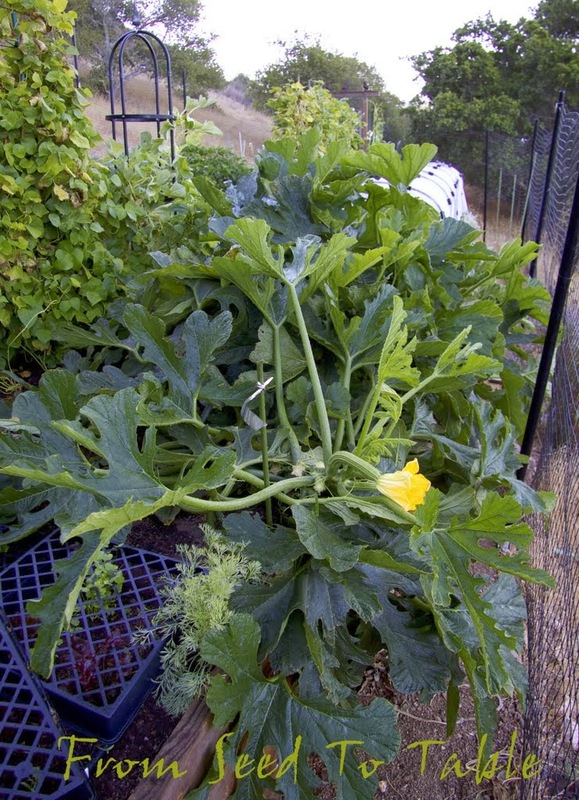 A month later and the plant has burgeoned, look at those zucchini coming along. This is the main branch. It is growing almost straight up at this time. You can see a second branch creeping along off to the left. If you look closely you can see a really small zucchini just behind the big zucchini on the right, that's the third branch. And look down below the stalk of the main branch, there's some small foliage, that's the fourth stalk. 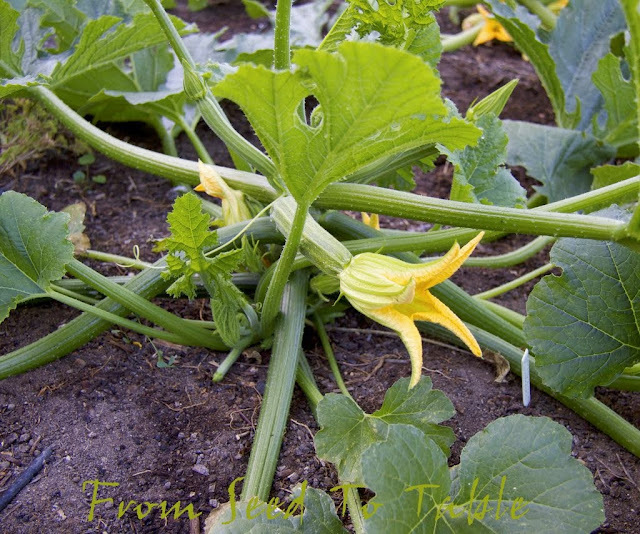 When that fourth stalk started to produce I started calling this plant QuadraZuke. Here's another view of branches One and Two. 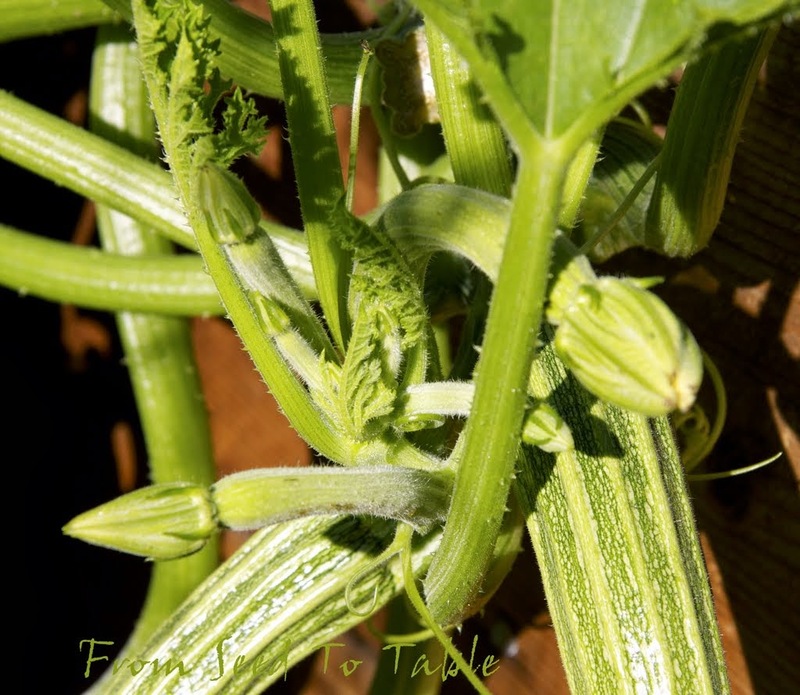 The flowers on the third branch are peeking through the foliage behind the Ortolano di Faenze plant. The plant was already very productive, I harvested 14.6 pounds of zucchini in June. July 18 and the plant is bigger than ever, although I can still get by it on the narrow path. The zucchinis are getting to be huge and I'm having a hard time keeping up with the harvests. If I wait one day they get to be huge. 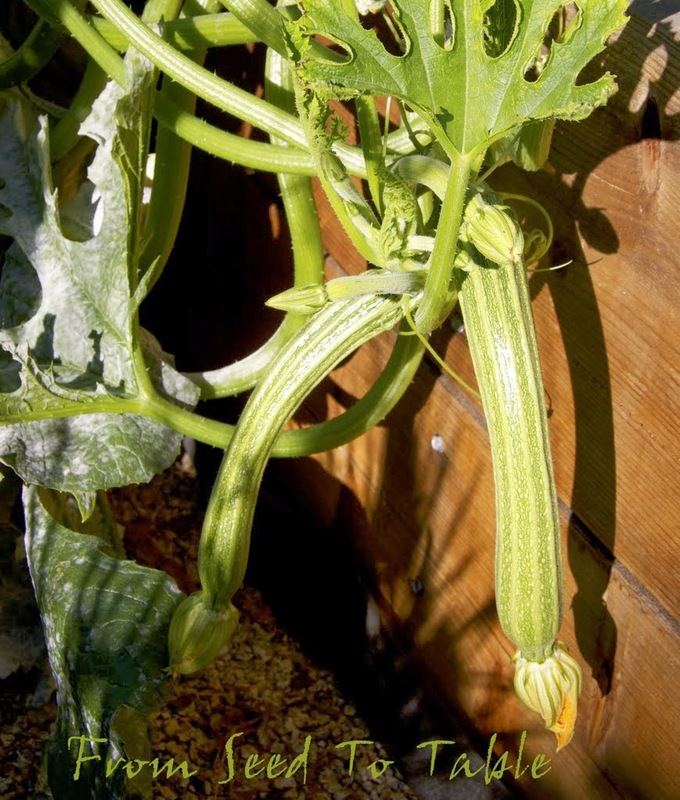 The three main stalks produce a zucchini each almost every day, the fourth stalk is shaded by the main stalk and only produces an occasional zucchini. 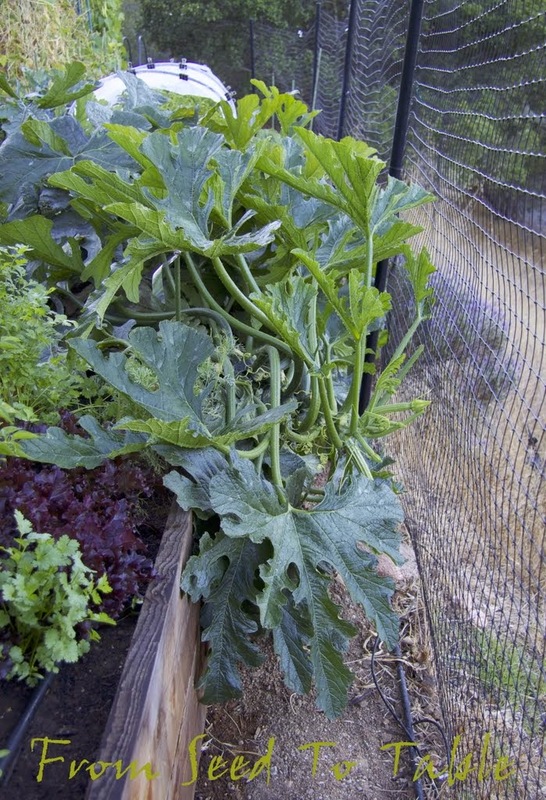 The Romanesco zucchini harvest jumps to 22.7 pounds for the month of July. A month later I can barely squeeze by the plant and I'm having to direct the second stalk towards the edge of the bed. 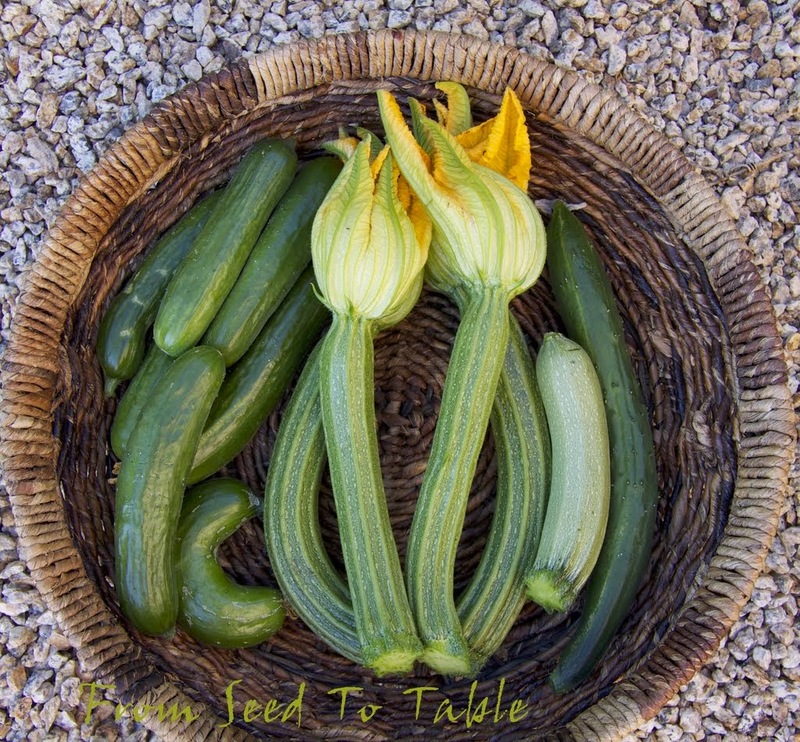 I'm also becoming much better at harvesting the zucchini at the optimal time which happens to be in the afternoon of the day when the blossoms have opened. Wait a day and they just about double in size. 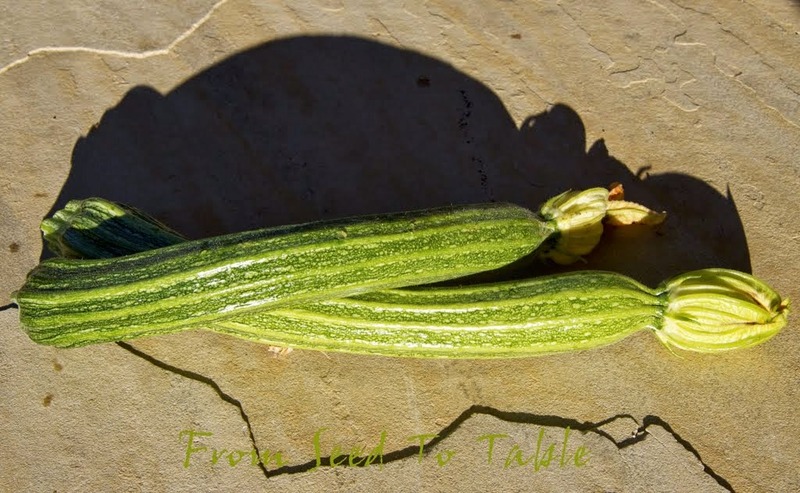 The August harvest is larger than ever in spite of harvesting the zucchini at a smaller size and not even including the "canoes" in the harvest tally. The total for the month was 27.5 pounds. Lose track of one in the foliage for a few days and they turn into potential canoes. Near the end of September the plants are growing out and down the side of the bed. The deer have figured out that they can nibble on the foliage that bumps up against the fence. They don't manage to nibble the actual zucchini. I placed a piece of hardware cloth between the fence and the plant to deter the deer. I can't squeeze past the plant without damaging it anymore. Production is slowing down in September though, the shorter days are slowing the growth of the plant and the formation of zucchinis. But the harvest is still a quite generous 16.6 pounds. 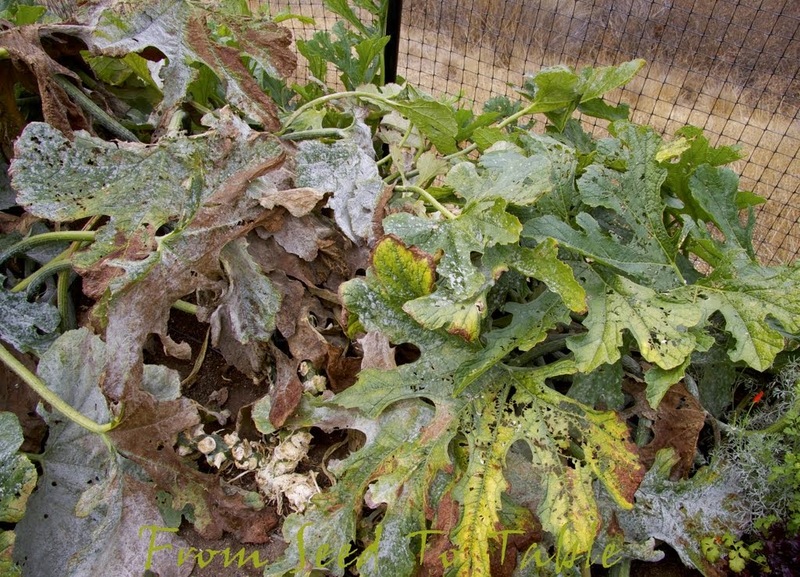 One month later the plant is finally showing the ravages of a powdery mildew infection. Earlier in the season I was cutting off the occasional leaf that showed signs of PM, but after a while I gave up. The plant has been remarkably resistant to the disease and I never gave it any sort of treatment to fight it. Now, finally, with shorter days and cooler nights the disease is finally catching up. But the new leaves and zucchini seem to be unaffected by PM so far. Here's the main stalk, having grown down the side of the nearly 2 foot tall bed it is making its way across the path. The plant is looking increasingly sorry now but it's still managing to produce a respectable crop. It's not like the nearly one-a-day-per-branch of July and August, more like one every 3 days per branch. The harvest total for October falls to 11.3 pounds. 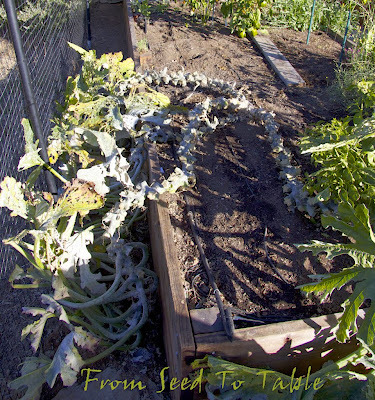 This week I started (finally) my fall garden cleanup. 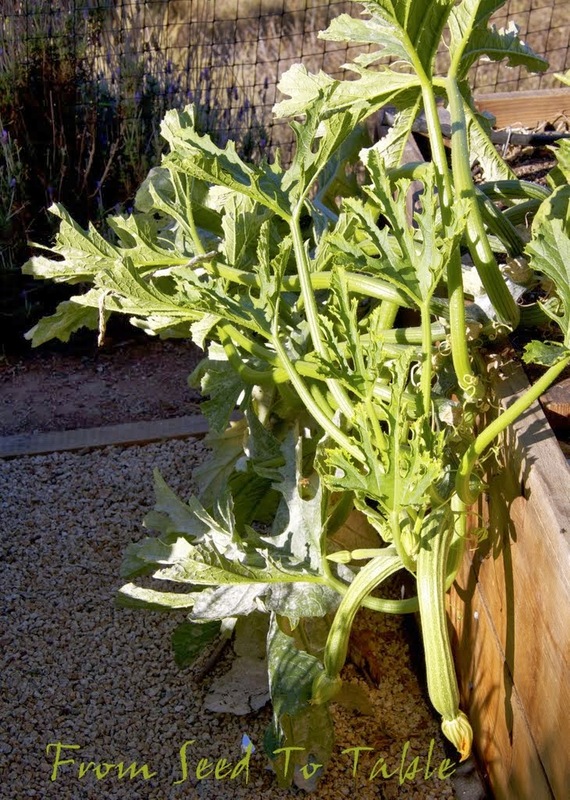 I pulled out the Ortolano di Faenza zucchini which hadn't produced a decent zucchini in a few weeks and I started trimming the leaves from the Romanesco zucchini. I didn't have the heart to yank out the Romanesco plant though because it is still producing. This is the healthiest of the branches, probably because it gets the most sun now. 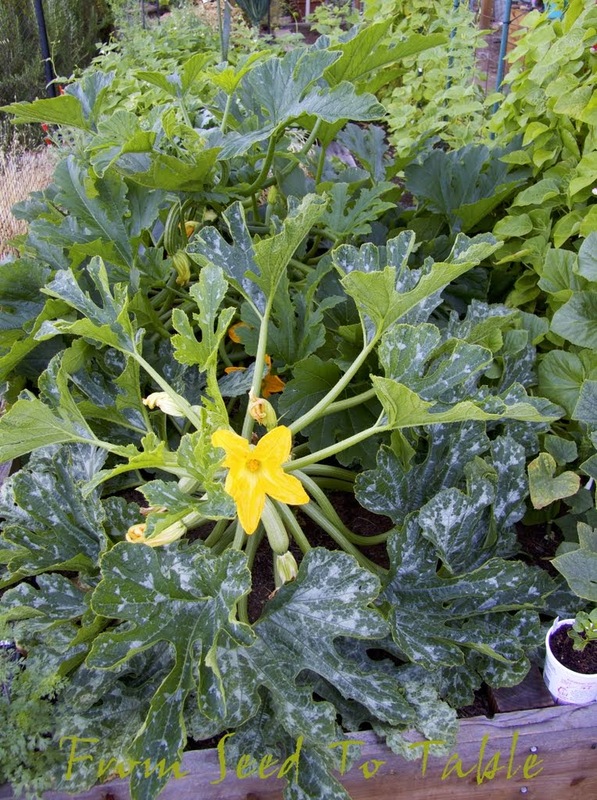 But the other branches are still producing new zucchinis as well in spite of the quickly advancing powdery mildew. Look at the PM on the leaf stalks. 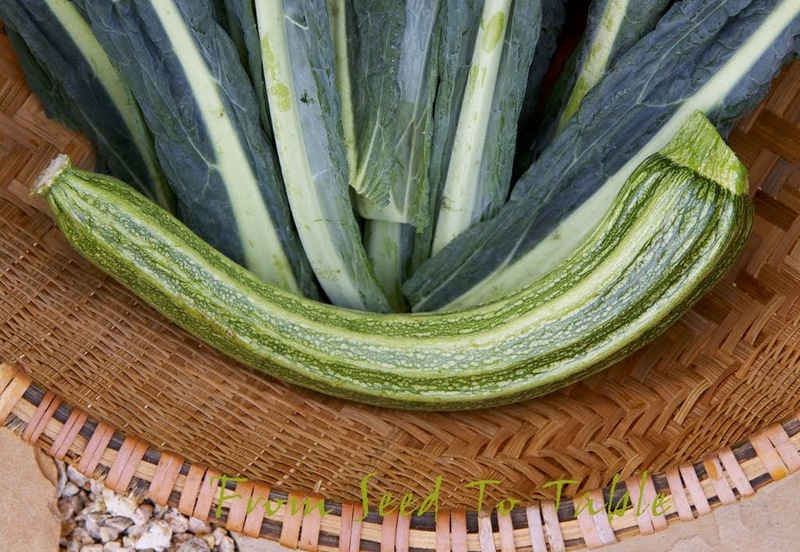 It looks so strange in contrast to the vibrant green of the zucchinis. Poor old valiant QuadraZuke, it's looking a little naked now. I just harvested four more zucchini off of the plant though. Today's harvest has pushed the official tally from this plant up to 98.5 pounds for the year. I think I should give it a chance to hit the 100 pound mark. What do you think? I've mentioned this before, this is an F1 variety and if you are interested in growing it you can get the seeds from Renee's Garden Seeds. From my recipe blog. Including Zucchini Hummus, Zucchini Gazpacho, Zucchini Tart, and more. Every year I'm amazed at what I'm harvesting in November. I spend the summer watching other garden bloggers harvesting tomatoes and peppers and other summer vegetables. 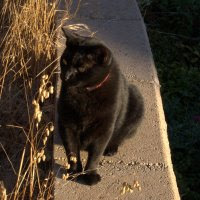 It's always so difficult to be patient but I know that all I have to do is wait, it will happen, "summer" will start 'round about the end of August. And then the glut of tomatoes, peppers, and eggplant will begin and if the weather cooperates I'll be harvesting them well into November. I fire roasted most of the Sonora peppers and used some of them in a soupy stew with slow roasted pork shoulder seasoned with cumin and lots of cilantro. The rest of the peppers were baked with Crescenza cheese and cream. The Bonica plants have been incredibly prolific. A couple of nights I prepared some of them very simply by cutting them into thick slices, salting them a bit to draw out some water, dried the slices and then generously brushed them with olive oil and baked them at 350ºF until they were tender. We had them with fresh salsa one night and plain another night. Last night I did a variation on that, I baked them for about 10 minutes and then I topped each slice with a generous dollop of ricotta mixed with grated Parmesan, parsley, garlic, olive oil, salt and pepper, and baked them about 30 minutes longer until the cheese was browned a bit and the eggplant tender. That was sooo good. The Potiron Ecarlate is a late producer but the plants are hanging in there and the tomatoes as well. They didn't crack very much when we had some rain a couple of weeks ago, you can see one of them above did get a bit infected in a crack but the rest of them didn't crack enough to spoil them. These have been very flavorful and it's very nice to have a late producer to extend the season. We are still enjoying simple salads of sliced tomatoes with basil (yes the basil hasn't succumbed to cold or disease yet). And the cherry tomatoes are still ripening although I didn't get around to photographing the harvests last week. My Topepo Rosso peppers are more pleated than I anticipated, but that's ok. I hope the mild weather continues so that more of the Aleppo peppers ripen, there's lots of green ones left on the plants. I've been drying the Aleppos by cutting them in half, removing the seeds and ribs, and salting them very lightly. Cucumbers and zucchini start producing in late spring and if the powdery mildew doesn't take over too quickly the harvests will continue well into fall. 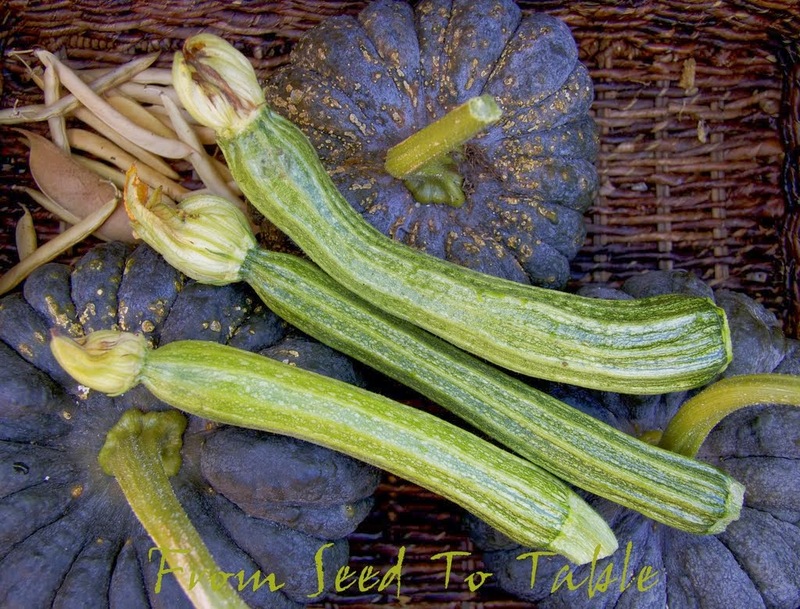 I grow PM resistant varieties to keep the harvests coming. 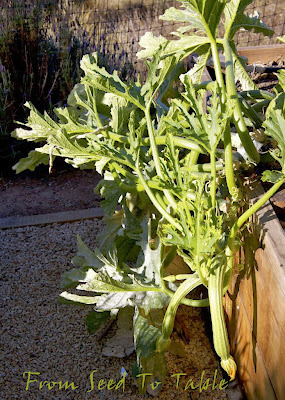 The Romanesco zucchini that I'm growing this year seems to be particularly resistant to PM. 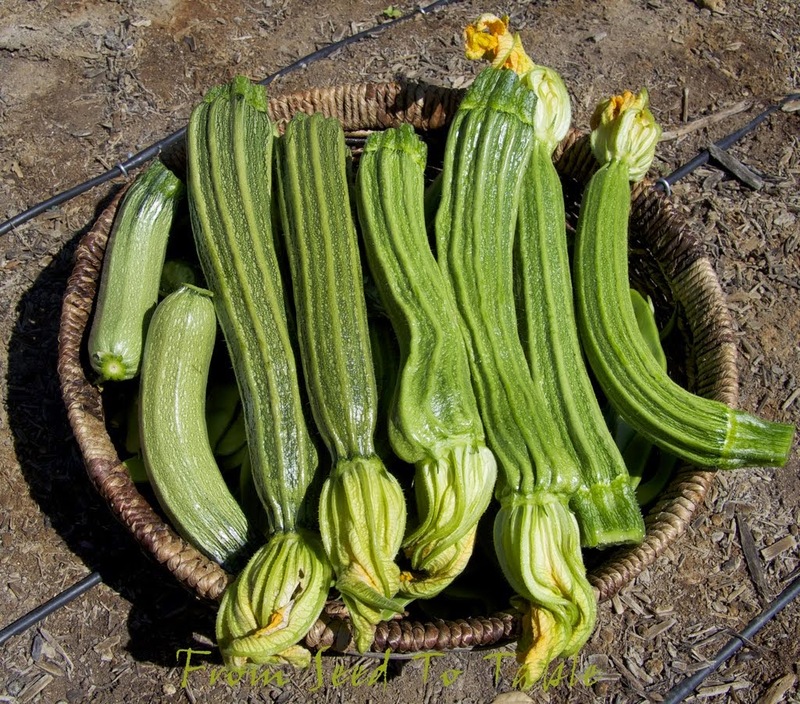 I started harvesting from the plant on May 21 and the plant is just lately becoming overtaken by PM, although it is putting out a final few zucchini of remarkably good quality. That's nearly the last gasp for the Andine Cornue tomatoes. The three plants produced enough good tomatoes so that I was able to can 15 quarts of tomatoes which will be enough to get me through the year. The cucumber plants have held up well against powder mildew as well. 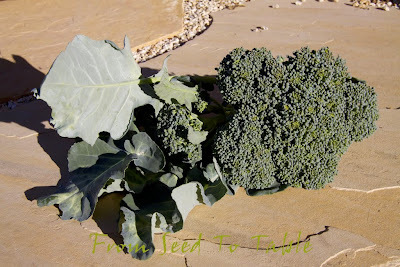 The broccoli harvests can go from spring through fall depending on the variety that I grow. Di Ciccio broccoli is a reliable producer, better than any other sprouting broccoli that I've ever grown. These shoots came from my spring plants. My fall plants are producing some heads now as well so I may be able to harvest shoots into the winter. 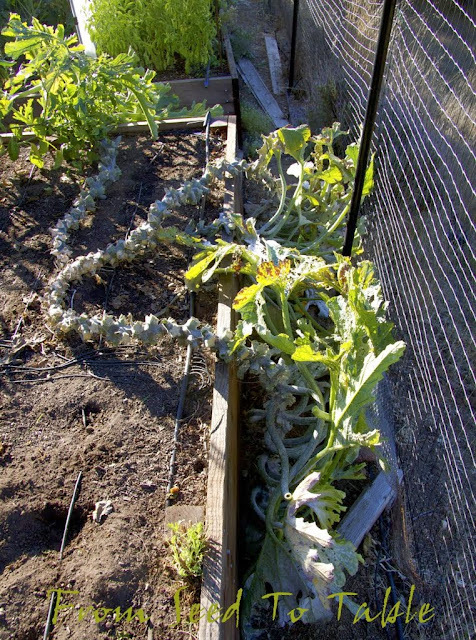 The birds have been ravaging my Lacinato kale. These are some of the better looking leaves. I've had to swathe the plants in row cover. I hope they do ok under cover, I'm concerned that it may be a nice comfy spot for aphids but so far it doesn't seem to be a problem. This week I harvested enough to make a kale salad with almonds and apples. That came out so good that I wanted to make it again but my husband was lobbying for sauteed kale with pancetta and pine nuts. I compromised and made a wilted kale salad with pancetta, pines nuts, and apples. I'll try to write up my notes for the recipes on my recipe blog one of these days. 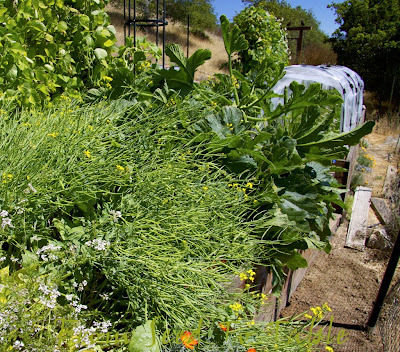 The weather this past week has been kind to both the garden and me. 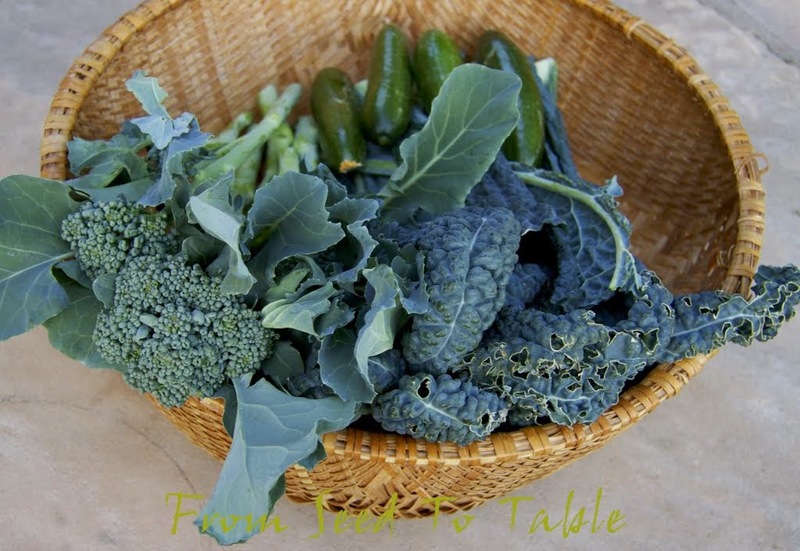 The forecast is for continued mild weather so look for some more colorful harvests from my garden next week! 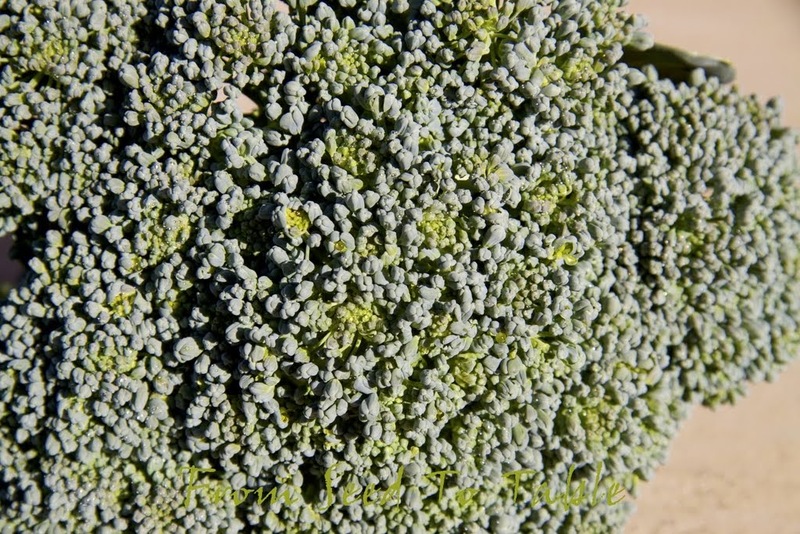 Di Ciccio broccoli - 10.1 oz. 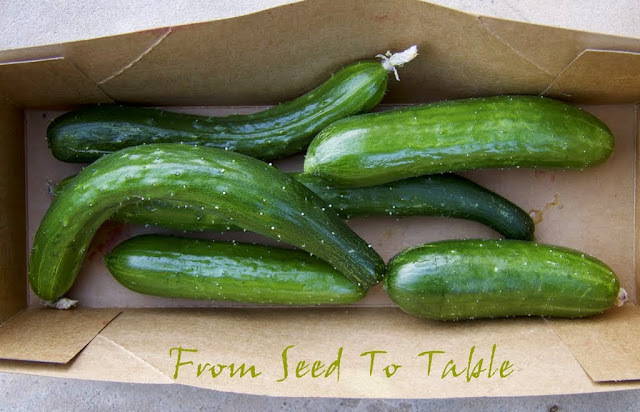 Garden Oasis cucumbers - 8.2 oz. 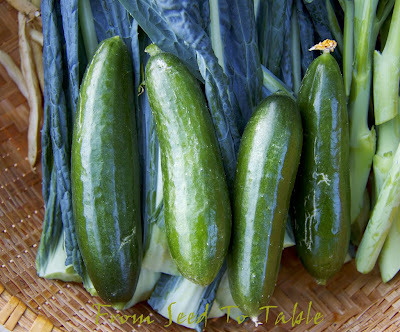 Green Fingers Persian cucumbers - 10.3 oz. Tasty Green Japanese cucumbers - 12.3 oz. Bonica eggplants - 10 lb., .6 oz. 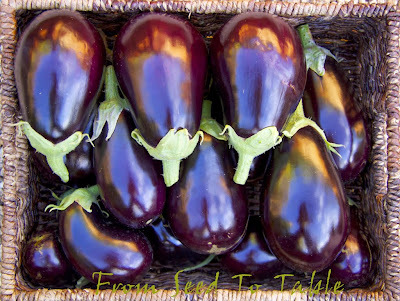 Salangana eggplants - 10.3 oz. Sicilian eggplants - 3 lb., 4.3 oz. 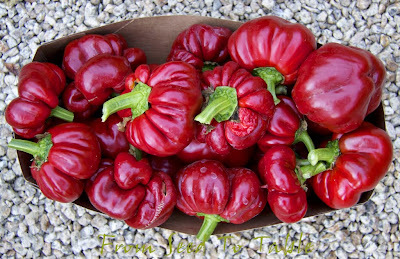 Red Janice garlic - 3 oz. 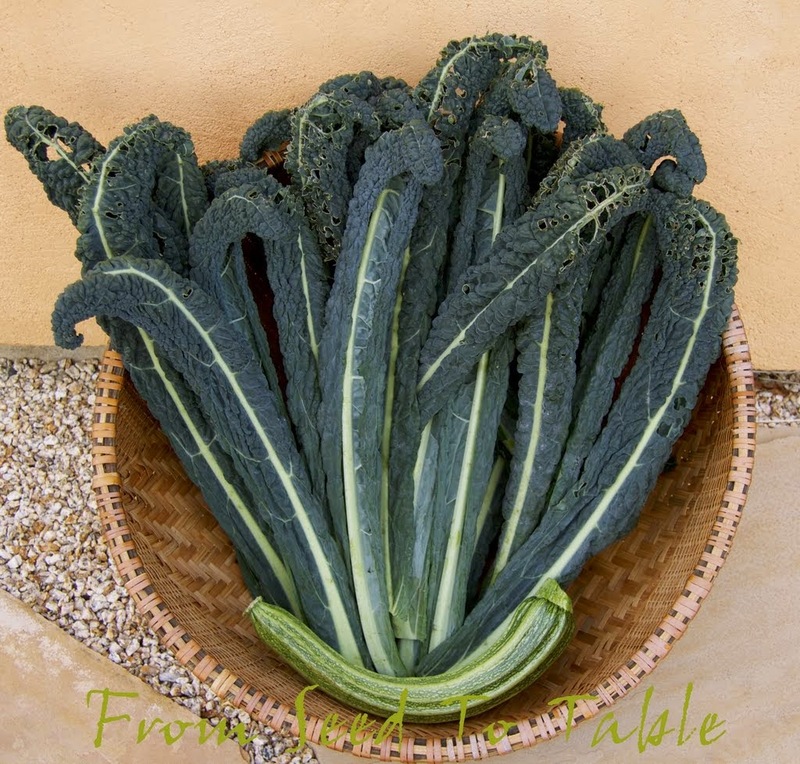 Lacinato kale - 2 lb., 4.1 oz. Sweetie Baby romaine lettuce - 9.8 oz. Aleppo peppers - 1 lb., 1.3 oz. Happy Yummy sweet peppers - 1.3 oz. 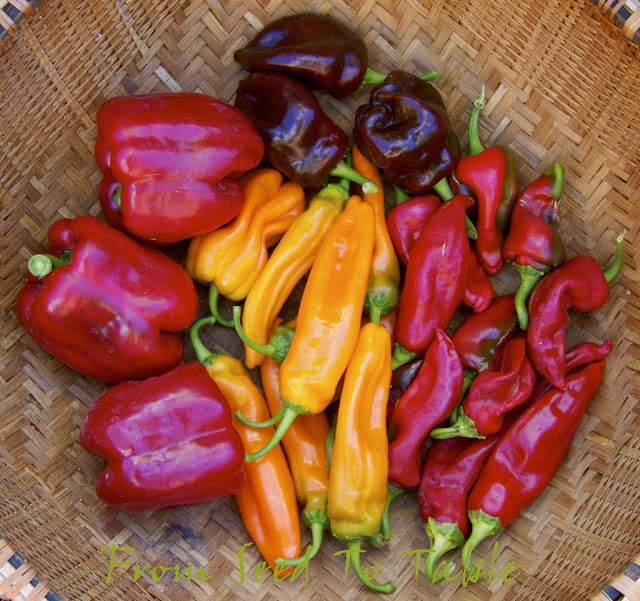 Pico de Pajaro peppers - .4 oz. 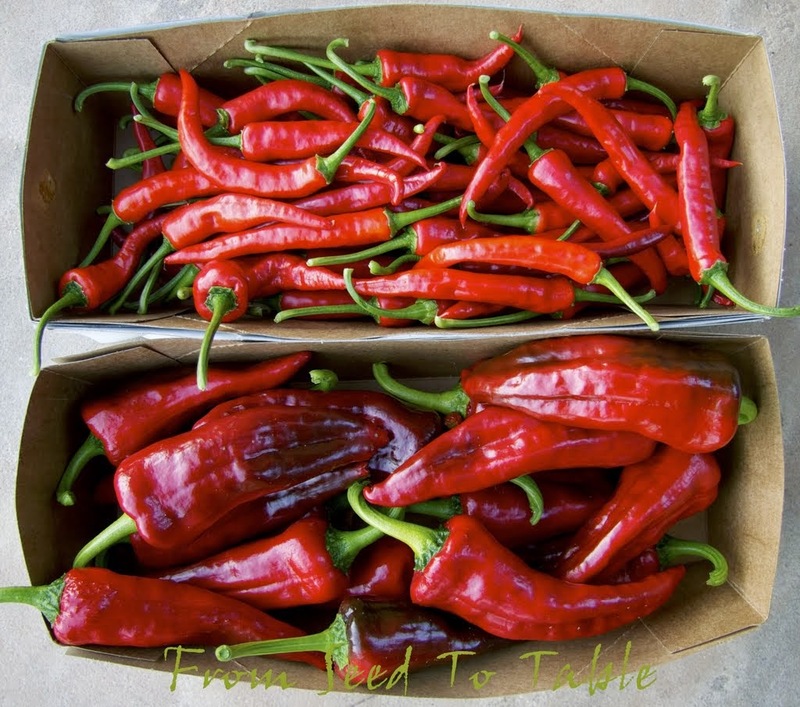 Piment doux Long des Landes peppers - 2.2 oz. Sonora peppers - 5 lb., 9.4 oz. 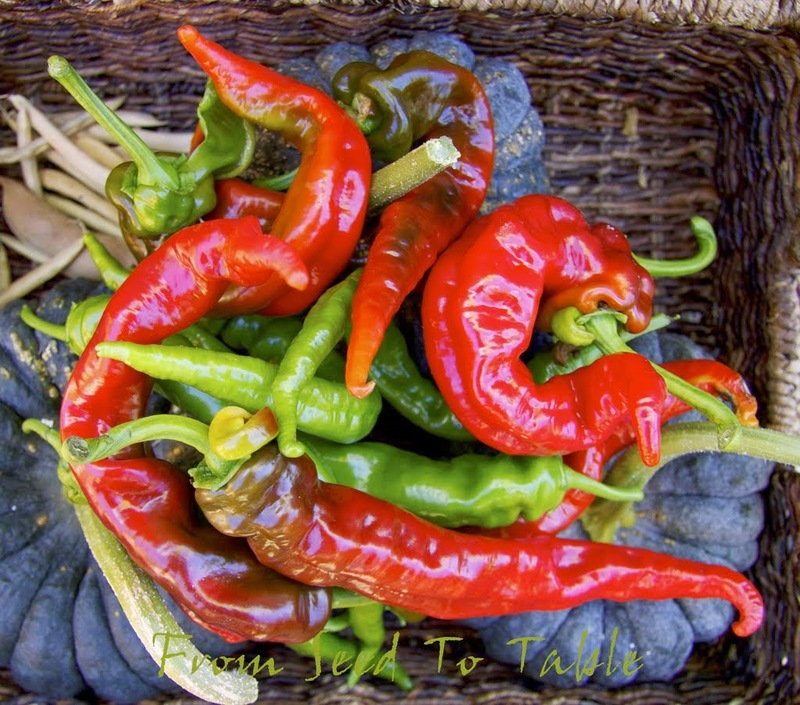 Tarahumara Chile Colorado peppers - 1 lb., 3.5 oz. Topepo Rosso peppers - 3 lb., 11.2 oz. Andine Cornue tomatoes - 1 lb., .5 oz. Isis Candy cherry tomatoes - 5 lb., 12.3 oz. 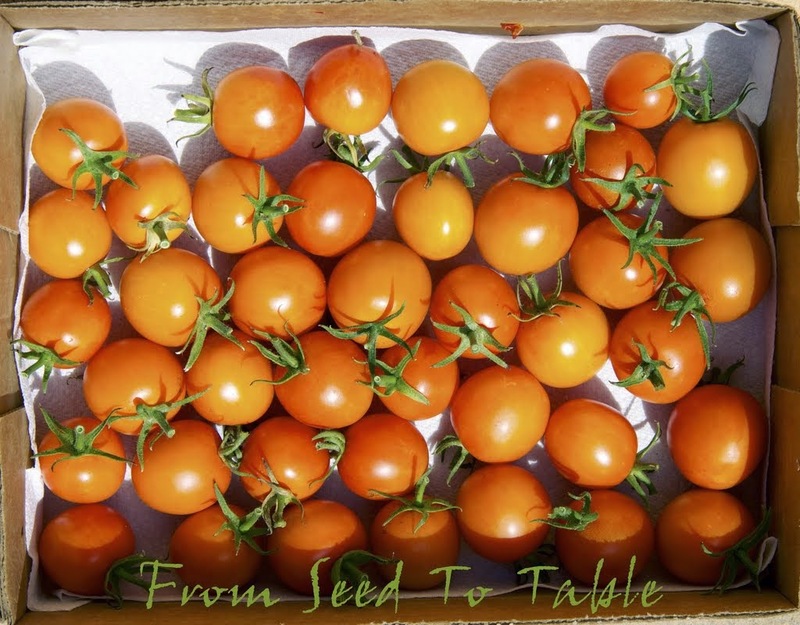 Potiron Ecarlate tomatoes - 5 lb., 1.2 oz. Romanesco zucchini - 1 lb., 13.8 oz. The total harvests for the past week came to - 45 lb., 8.8 oz. Which pushes the total harvests for the year up to - 839 lb., 10.7 oz. Harvest Monday is hosted by Daphne on her blog Daphne's Dandelions, head on over there to see what other garden bloggers from around the world have been harvesting lately.